A few ago I shared this makeup look over on my YouTube channel (please subscribe here!). 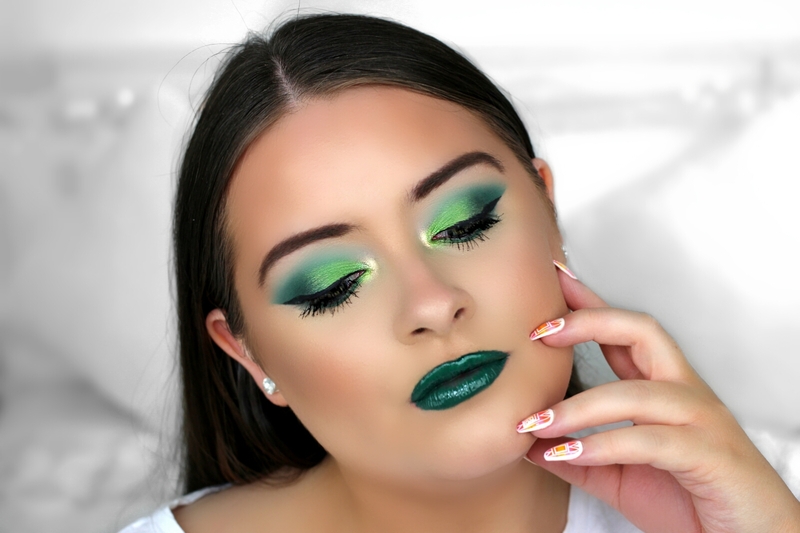 The look is inspired by beauty YouTuber Nikkietutorials and her "Green Makeup Challenge". 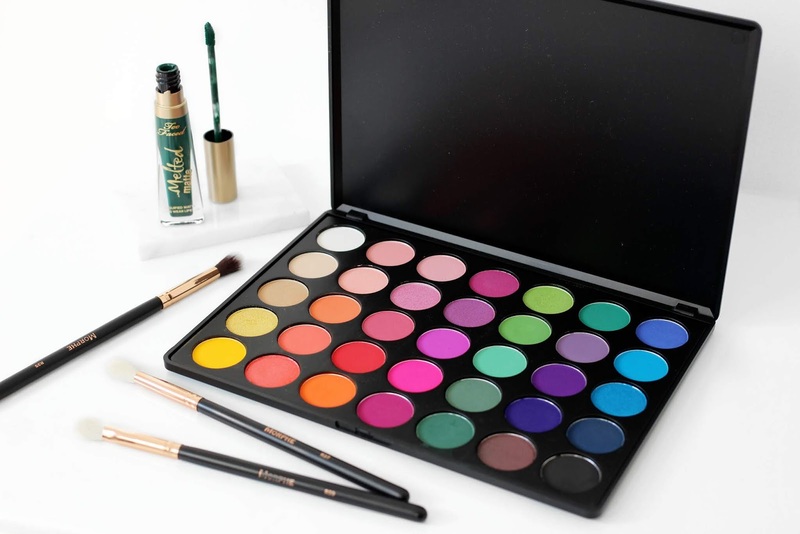 Morphe 35B Eyeshadow Palette - This is a super pigmented eyeshadow palette that has 35 super bright and colourful shades. There are a mix of matte and shimmer finishes. 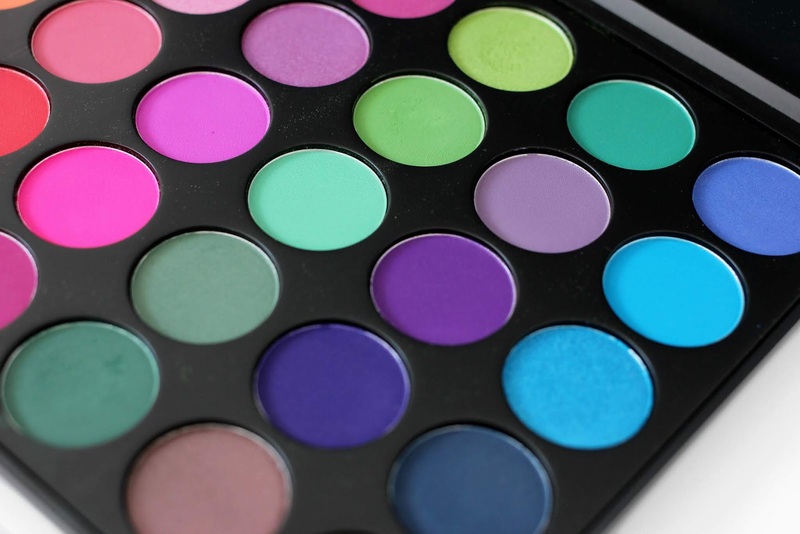 The quality of this palette is insanely good and all the shades blend amazingly. Of-course I dabbled into the green row and mixed a few together. You can check out my full step by step video tutorial here. Too Faced Melted Matte Liquid Lipstick in Wicked - This is an extremely badass liquid lipstick that is super opaque on the lips. It's definitely a bold choice and looks wicked with this eye look! I had so much fun creating this look and it got me to step out of my comfort zone and play around with colour. I absolutely love how it turned out.